Sat., Oct. 28, 2017, 4:35 p.m.
SEATTLE – If the Seahawks’ defense spent a little more time than usual in September running in circles, October saw them instead circling back to a familiar place — once again leading the NFL in fewest points allowed. After giving up 33 points in one game at Tennessee on Sept. 27 Seattle has allowed just 35 since, capped by a 24-7 win over the Giants last Sunday in New York. When the dust settled from that game the Seahawks were allowing just 15.7 points per game, tied with Jacksonville for the fewest in the NFL and on par with any of the seasons from 2012-15 when Seattle led the league in fewest points each year (15.3, 14.4, 15.9 and 17.3 respectively). 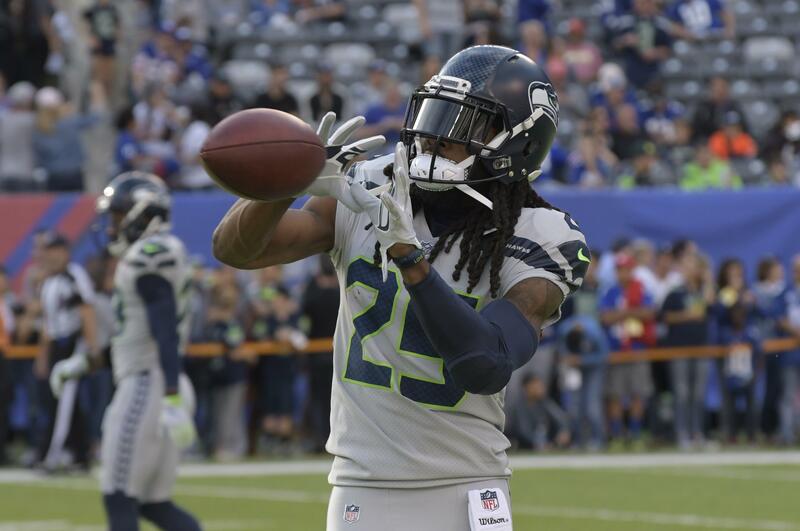 “Yeah, we’re playing as high a level as we ever have,’’ said cornerback Richard Sherman who called the Tennessee game an “outlier’’ and said he thinks Seattle has played so well for so long on defense that people may take it for granted. Skeptics might note that two of the three teams Seattle has played in October are among the six-lowest scoring teams in the NFL – the Colts and Giants. But the other was the team scoring the most points in the NFL, the Rams, who got just a lone touchdown against the Seahawks in Seattle’s 16-10 win on Oct. 8. Like the Rams, the Texans have one of the hottest, young quarterbacks in the NFL – rookie Deshaun Watson – who has remade the Houston offense into one of the best in the NFL since becoming the starter in the second week of the season. The Texans are third in points per game at 29.5 but have scored 33 or more in each of the last four games, averaging 39.3 in that span. Watson’s running ability – he has 202 yards and averaging 7.2 per carry – has helped lift Houston’s rushing attack to third in the NFL at 137.7 ypg. He has displayed an arm almost beyond his years, throwing 12 touchdowns to just two interceptions the last three games. “It’s a young, spunky group of guys,’’ Seattle coach Pete Carroll said of the 3-3 Texans. Published: Oct. 28, 2017, 4:35 p.m.